The former Lamigo Monkeys’ ace Zeke Spruill will return to Taiwan once again, the Monkeys have confirmed the signing of Spruill as the team’s fourth foreign pitcher today. According to the press release, the 28-year-old Spruill is expected to arrive in Taiwan and report to the farm team in the next few days. With the signing of Zeke Spruill, the next question everyone is asking is. Which foreign players the Monkeys is going to release to make room for the hard-throwing right-hander in the first team? “It doesn’t matter who, as long they are on our team, I will continue to use them, there is no such a thing as the final test,” said Monkeys’ manager when being asked about which foreign players might get cut. 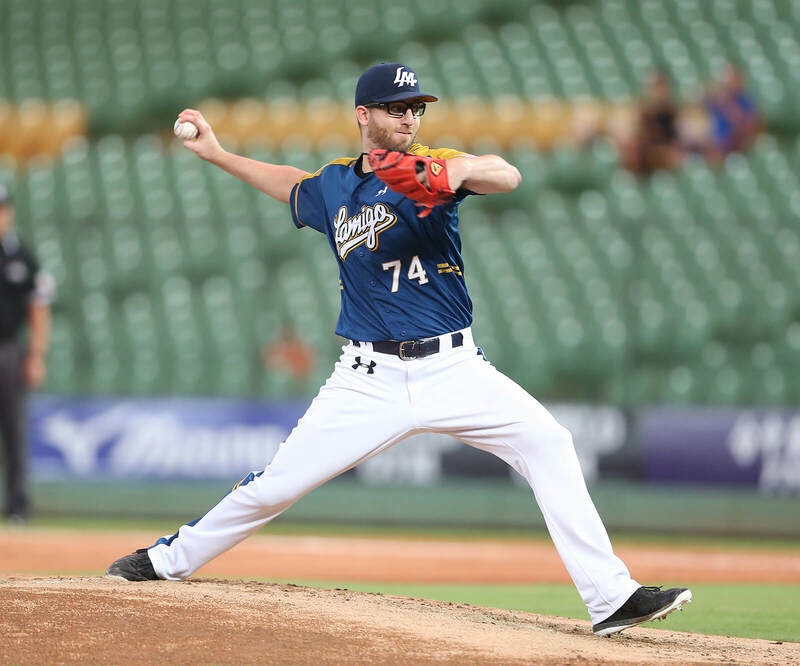 Spruill was one of the most dominating pitcher in the 2017 CPBL season, where he finished the season with 15 wins, 2.56 ERA, 1.14 WHIP and 193 ERA+ across 26 starts over 172.1 innings of work. After the 2017 CPBL season, Spruill signed a minor league deal with the Texas Rangers with spring training invite. However, he was released by the Rangers in March without making any official spring training appearance. It’s a real break for Lamigo to get Spruill back, given the way he pitched last season, at least if he’s healthy. It’s strange that the Texas Rangers released him without even giving him an opportunity to pitch in any major league Spring Training games. Did the Rangers just not like what they saw, or did Spruill request to be released when it was clear he would not make major league team, figuring he could make more money in Taiwan than in AAA? At this point, it seems likely that Spruill’s MLB career is over and his professional pitching future will be in Asia. Yeah, would be interesting to see Spruill’s condition. Something is not quite right here, but I guess we will find out when Spruilll starting throwing tune up games in the farm league. I read somewhere Spruill was getting at least $23,000 USD a month last year, so would be interesting to see how much is the Monkeys paying him in 2018 given his success in 2017.